The vision of Panda Cash is to make Bitcoin Cash easily accessible to every developer. Panda Suite is a suite of tools to make BCH development more accessible to every developer. When developing applications for Bitcoin Cash, it is important that its functionality is well-tested, as the app can potentially be dealing with large amounts of money. For testing purposes, there is a public Bitcoin Cash testnet, but this testnet can not be used without an internet connection, and obtaining larger amounts of tBCH can be cumbersome. 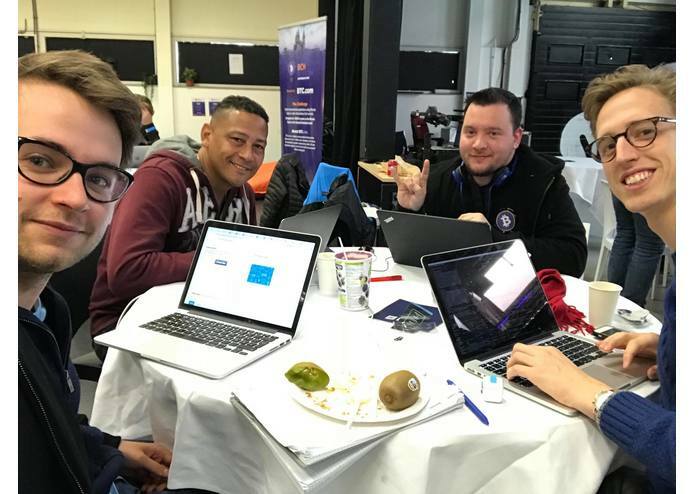 Finally, in earlier stages of development, many developers would rather not be using a public network already, and would rather develop locally until development has furthered. This is where pandacash-cli comes in. 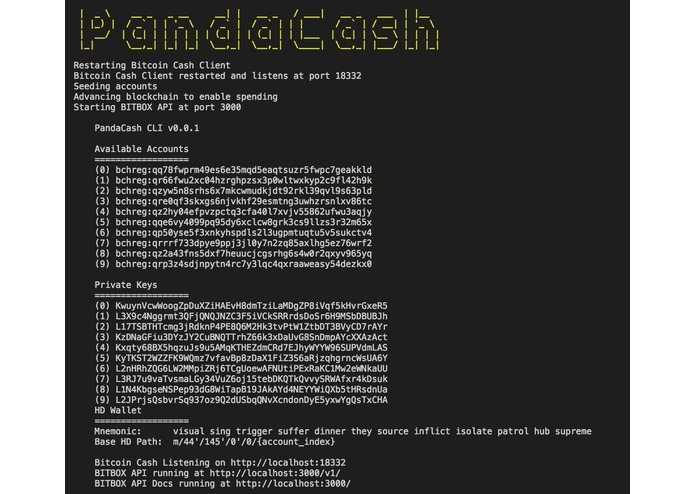 pandacash-cli is a one-click Bitcoin Cash blockchain with pre-funded BCH addresses, enabling developers to quickly start working with BCH without any hassle. pandacash-cli is similar to ganache-cli, but for Bitcoin Cash. To run pandacash-cli, make sure that Node.js and Docker are installed. On macOS these tools can be installed through Homebrew. Make sure that Docker is running before installing pandacash-cli. pandacash-cli can then be installed through npm. After installing pandacash-cli, it can be used as a command-line tool to quickly spin up a local development BCH blockchain with a single command. The local blockchain comes with ten pre-funded BCH addresses, which can be used in the local development process. pandacash-cli will also spin up a REST API to interface with the local blockchain that is fully compatible with BITBOX. You can enter the running Docker container, and use regular bitcoin-cli commands. Doesn't sync with other Bitcoin nodes, and immediately creates new blocks on every transaction. 10 addresses with 62.5 spendable BCH each, generated from a random mnemonic. A local version of the rest.bitcoin.com code that connects to the pandacash-cli blockchain. We are still working on the project. More to find here: https://panda-suite.github.io/. Our main package https://www.npmjs.com/package/pandacash-core has had 115 weekly downloads.